Earlier this season we had Andrew Guzman of the Common Ground Football Podcast on the show, instead of inviting him back we're bringing on the Seahawks fan half of the show. Bryan McLaughlin is a long-time Seattle fan and co-host of the show and he admittedly watches way more Cowboys football than he would like to. One player on the Cowboys defense has been a standout player this season and he points to the one side of the football on the Dallas offense that could be exploited this week. Catch their latest show at commongroundfootballpodcast.com as a dream scenario comes together for their podcast as one team will be eliminated before their show next week. Hall of Fame offensive lineman Walter Jones joins the show this week to offer his thoughts on the Seahawks game with the Tennessee Titans and the team as the whole through the first few weeks in the season. Jones offers his thoughts on what the offensive line can do to improve, he talks about his thoughts about the George Fant injury in the preseason, and talks about lining up next to Steve Hutchinson on the best Seahawks offensive line the team has known. He talks about FanCom, a new service coming online this weekend to allow fans to interact with NFL greats. In the 1990 draft, the Seahawks selected Tez along with a defensive back who would ultimately take Glasgow's job. 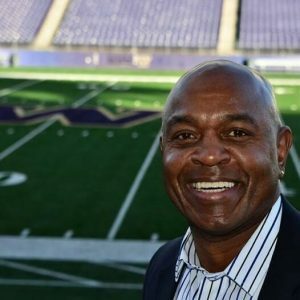 Nesby talks about how he approached that time in his career and also talks about one thing that stuck out to him when Tom Flores took over as head coach of the team. Finally, Nesby discusses a couple tours scheduled with current players that he'll be promoting in the future. The Rain City Miracle came out this week and creator of the series William Cornell joins us once again to talk about what went into this project and why he felt this was a story that needed to be told and in the archives along with previous episodes. He talks about the process it takes to put something like this together and why this video takes a bit of a different approach compared to previous episodes in the series. One of the videos greatest attributes, since it's about an amazing comeback in the NFC Championship game, we don't even have to suffer through another viewing of the play from the following game. You know which play we mean. Look back at some of the adversity from that season as well as some key moments that foreshadow this team's ability to never doubt themselves even when it looks like there is no chance to win. This is how the 2014 season should be remembered!